Custom and Cheap Terminal Block UK2.5 2.5mm spring type spring loaded terminal block Supplier and Manufacturer.--Hefei Wolian Industrial Co., Ltd. Custom and Cheap Circuit Breaker,Stabilizer,Transformer,Distribution Box,Renewable Energy Product Supplier and Manufacturer. The terminal block are used in electrical equipment,instrument,shipping,machinery,ect. G -type rail NC32 . provide good angle for watching wiring position and simplify wiring operation. Please feel free to contact us for the catalogues or prices. 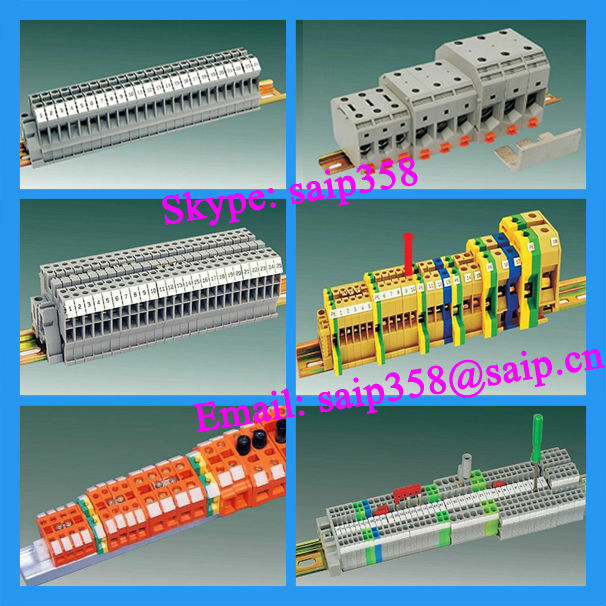 SAIP, as a professional manufacturer and supplier, is specialized in developing, producing electric equipments fitting all over the world.